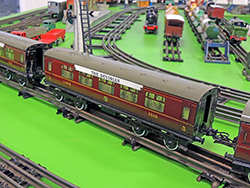 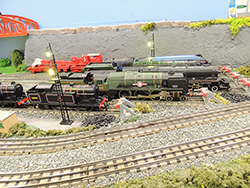 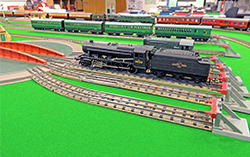 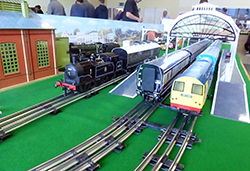 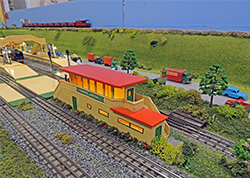 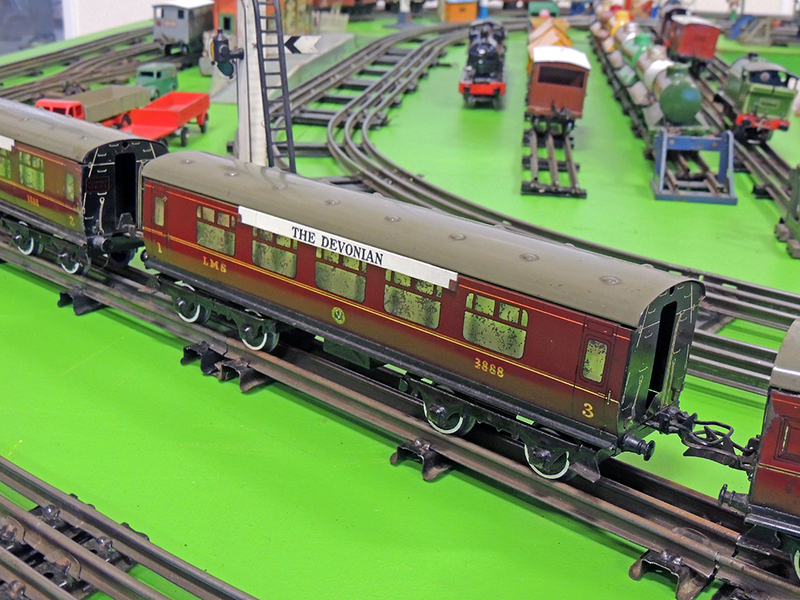 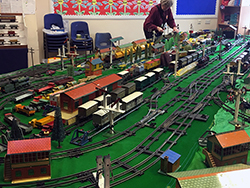 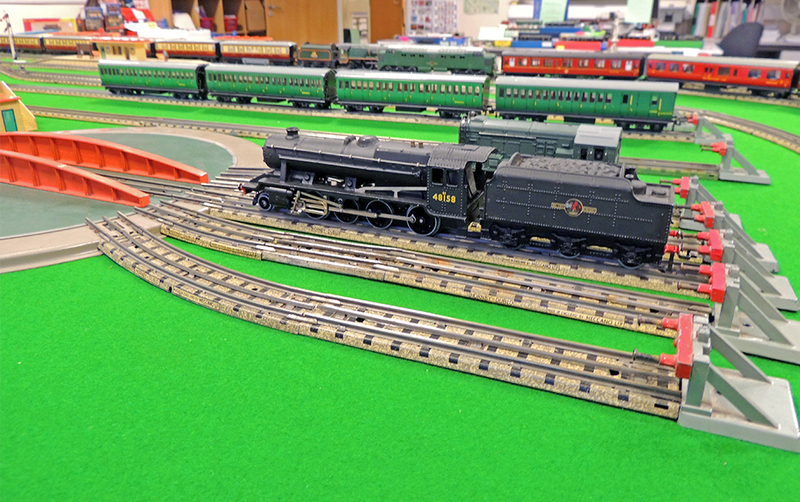 This is our 10th Annual show at the King Alfred School, Burnham on Sea where the public can view mainly vintage Hornby trains. 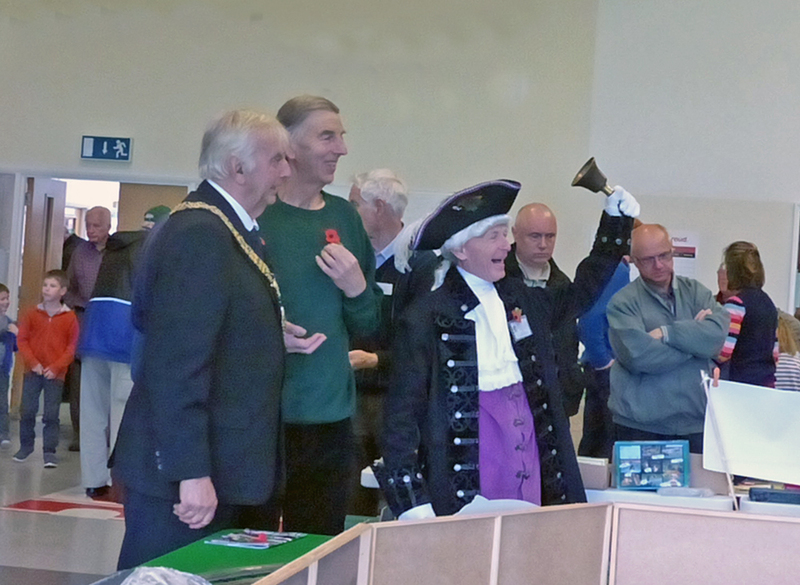 We were graced by the visit of the Mayor and town crier. 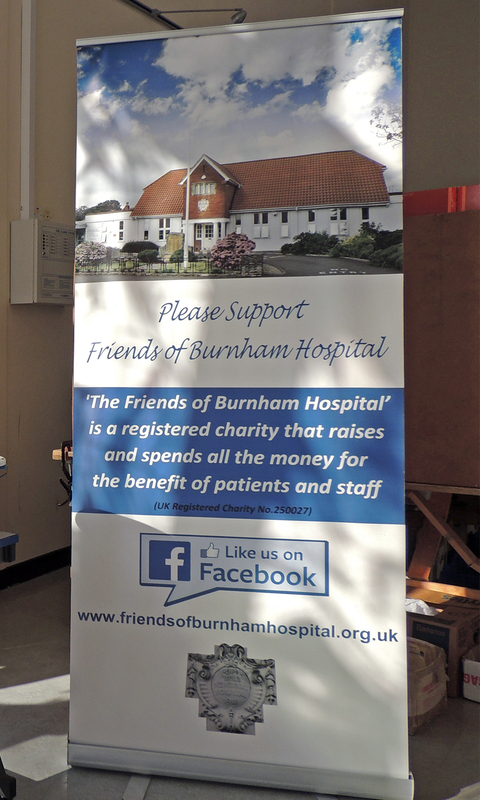 As last year, we supported the Friends of Burnham on Sea Memorial Hospital, a worthy local charity. It was probably our most successful show with some 280 adult visitors and 50 children. 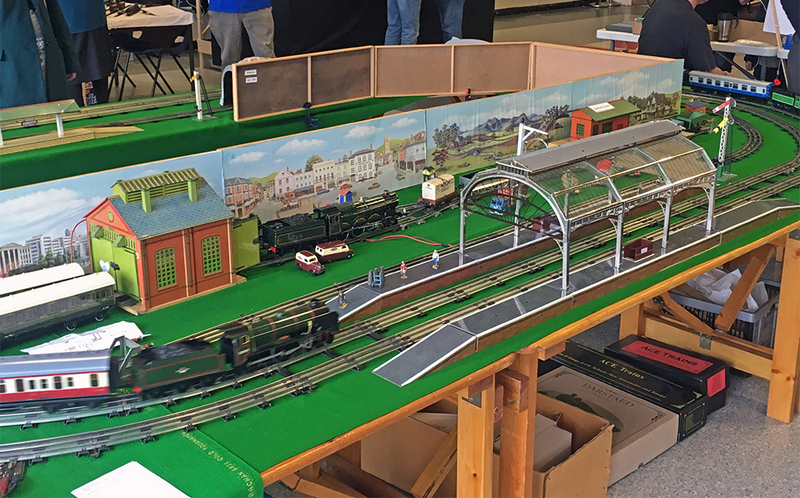 The quality of the layouts seems to get better each year. We had a guest layout running, which was “I ‘ad that”, and was created by the Miller brothers and consisted a double layer Dublo 3 rail layout. 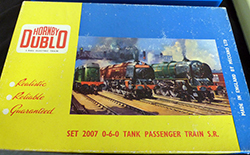 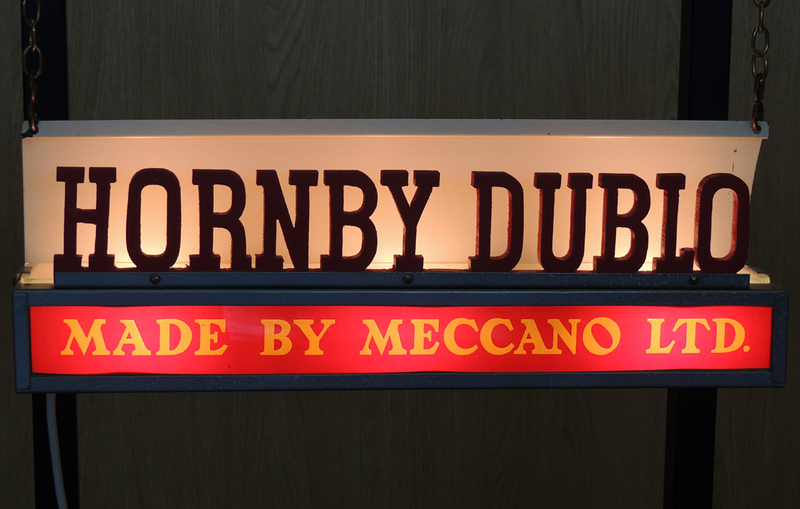 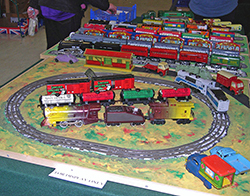 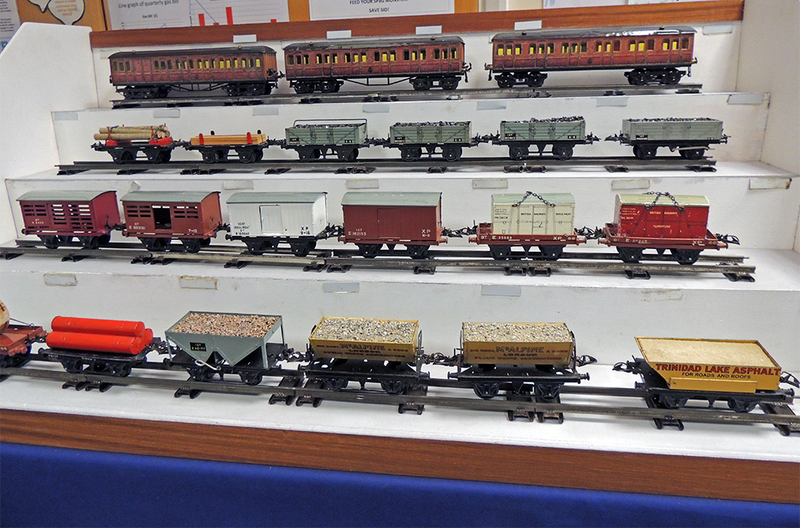 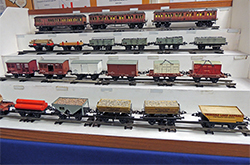 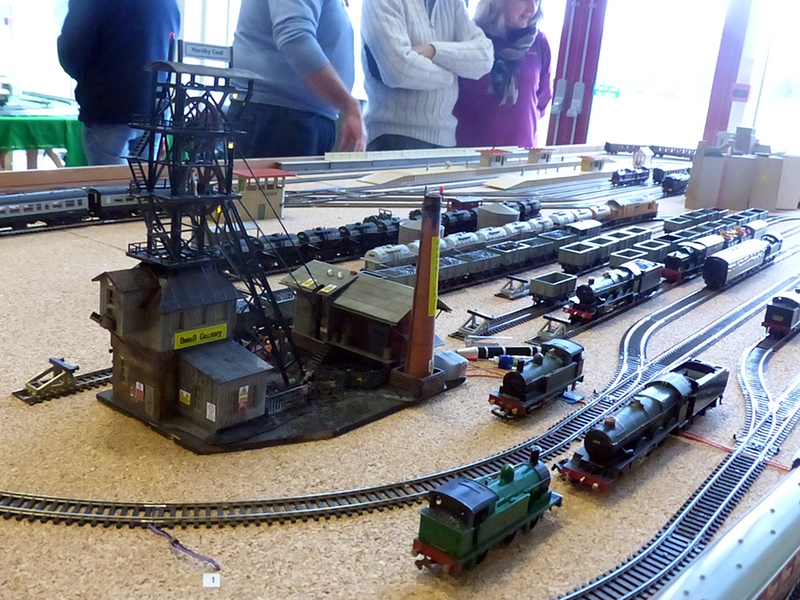 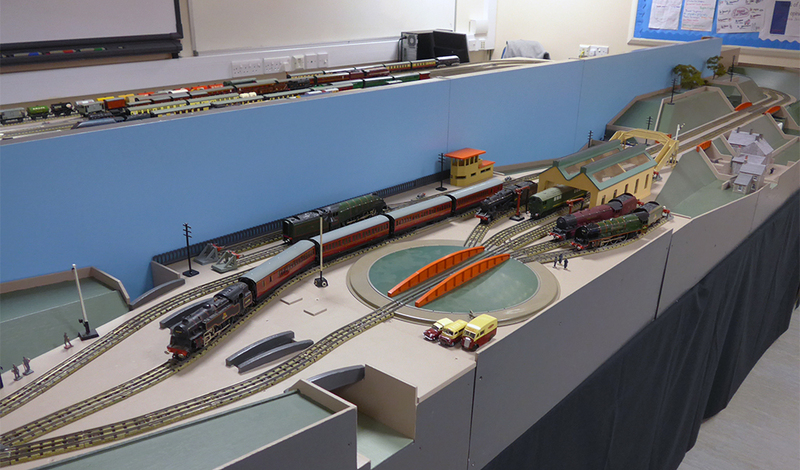 It was 21 feet long with plenty of original Hornby locomotives and several neverwazzs. 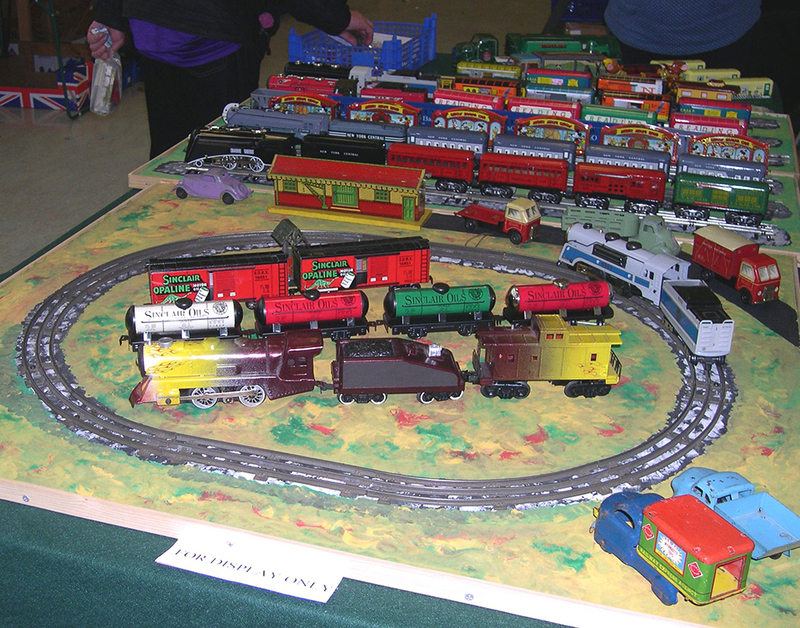 In the show there were eight major layouts and several minor ones. 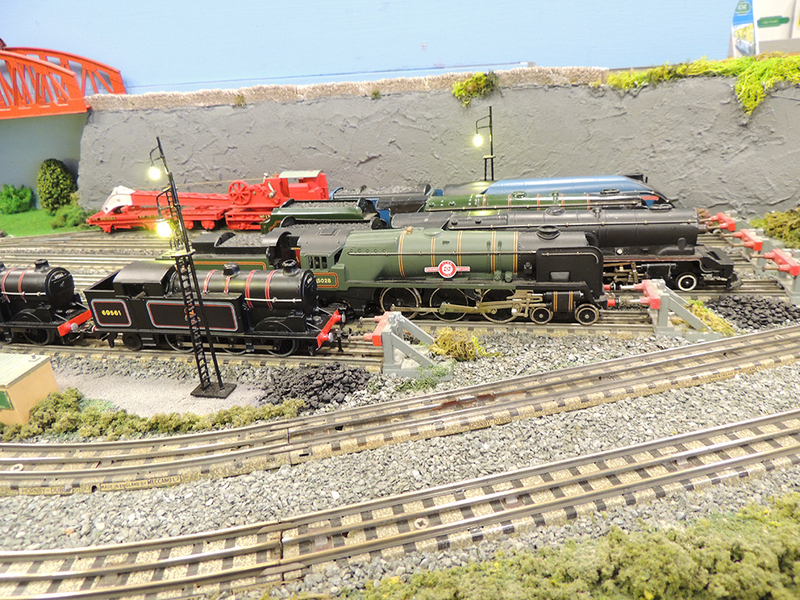 On the 0 gauge front, Peter Lintern had his multi track pure Hornby layout, while yours truly was allowed to run those British designed but foreign made trains. I also installed an automatic stop and reverse electronic mechanism for a shuttle train. 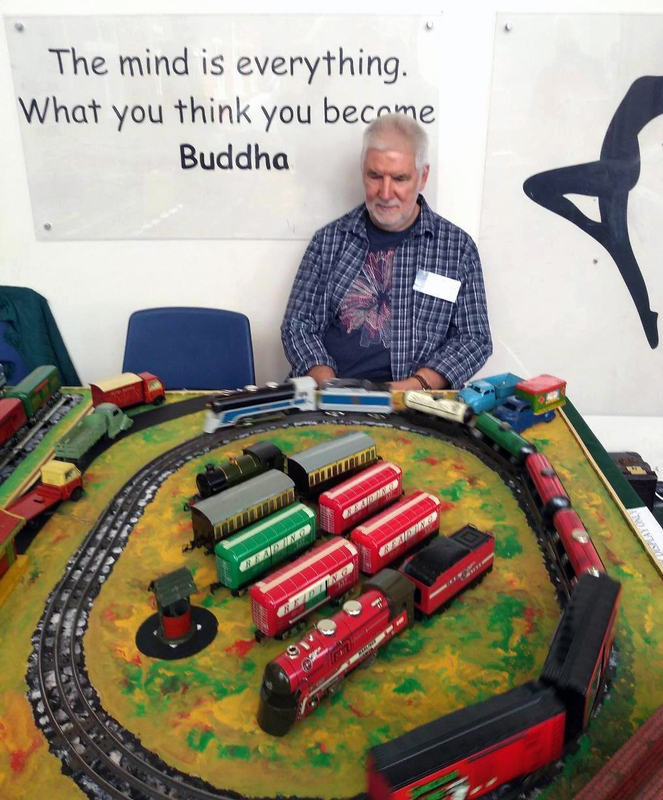 Look no hands. 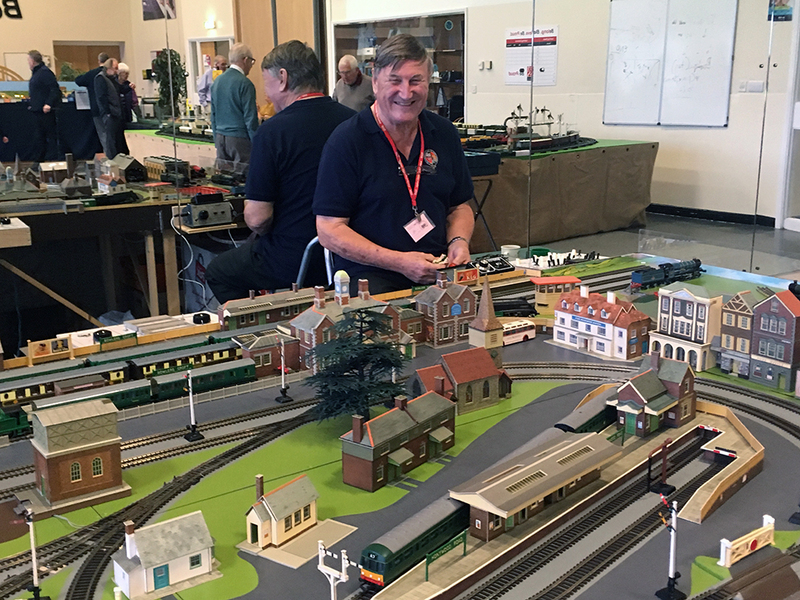 Thanks to Ian Rand who sorted out my tatty soldering. 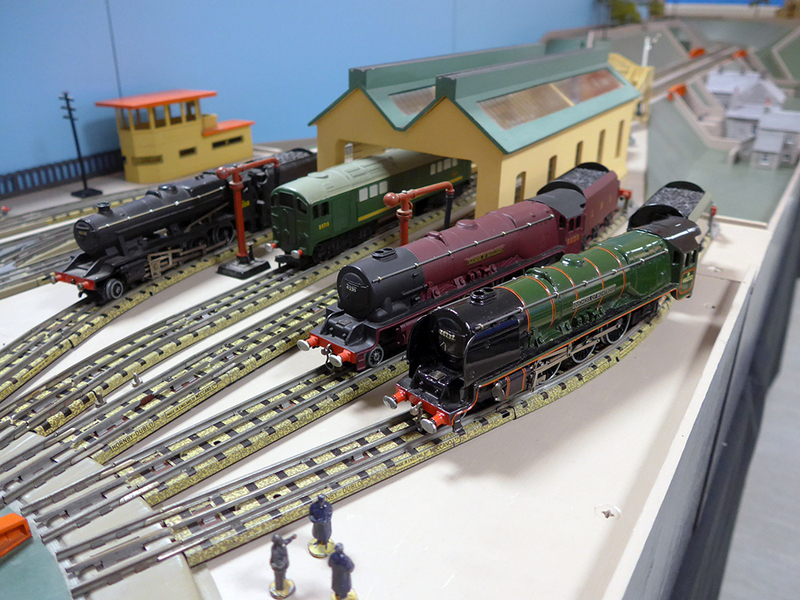 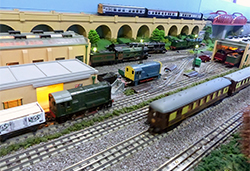 The clockwork layout under Chris Batten’s leadership grows bigger each year, and with a large contingent of clockers, there is a continuous service of mainly double headers trains with a car park full of Dinky toys. We must not forget the Dublo boys and girls. 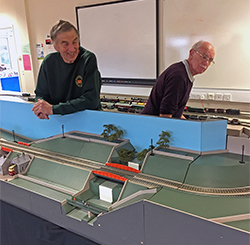 Vanessa Howells with dad, Mike was running a Wrenn 2 rail layout. 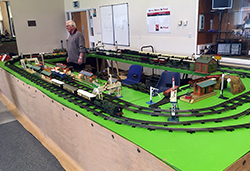 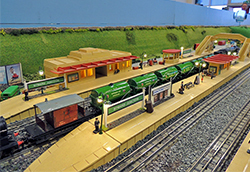 Steve Sands’s module 3 rail layout grows in complexity with new modules on display. Barrie Taylor put on Dublo 3 rail layout on a vivid green billiard table cloth in a side class room. Jim Roach had the only 2 rail Dublo layout featuring a coal mine pit head gear. 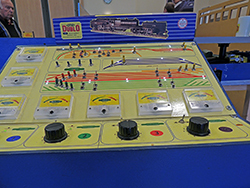 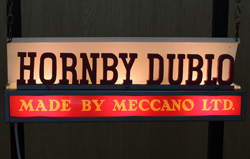 Tony Gray showed his dealer’s demonstration Dublo layout. 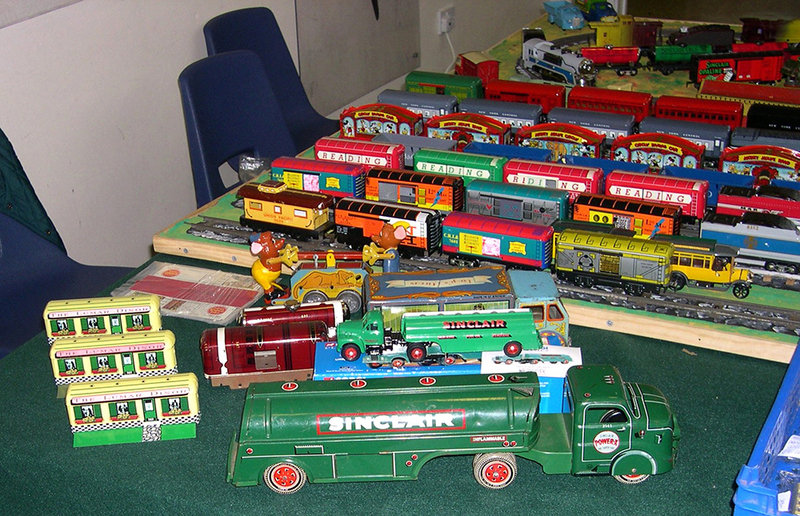 Roy Sinclair had his usual display of minor makes like Brimtoy and Marx in the entrance hall. 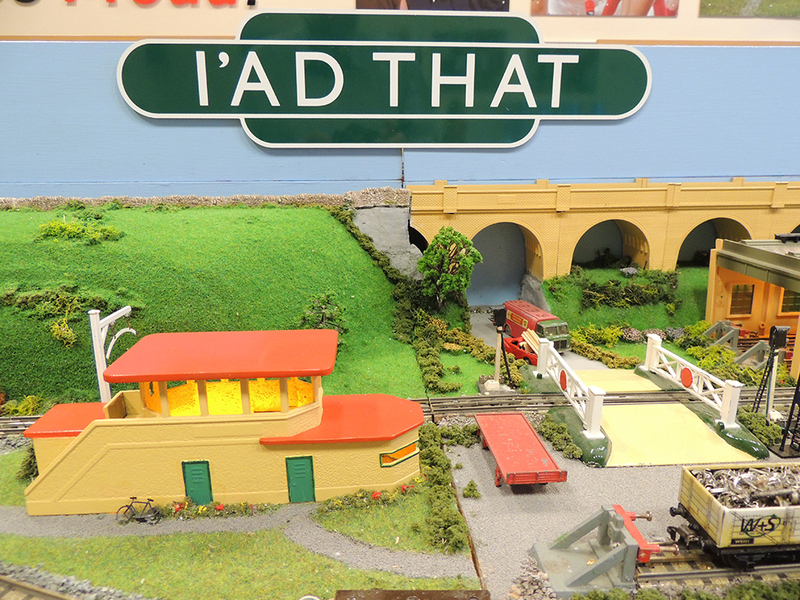 He 'thinks' he is a train driver! 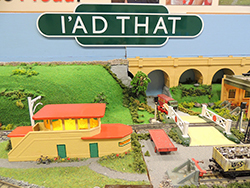 The ladies in the buffet car kept us adequately feed and water but such was the demand for bacon butties, they had to go and buy extra baps during the show. 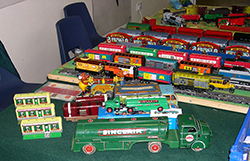 Dealers abounded with tables groaning under weight of collectables. George Moon manned the Bring and Buy table for those items surplus to our collections. We have to thank the organisers, George Moon, David Temple and Steve Sands for the smooth running of the show.